BISCAYNE ISL 1142 N VENETIAN DR MIAMI BEACH. The epitome of ultra-modern luxury waterfront! Built in 2014, this stunning home features an eye-caching yet functional design with ample open spaces & wall-to-wall sliding glass doors that completely open, creating the ultimate indoor-outdoor experience. 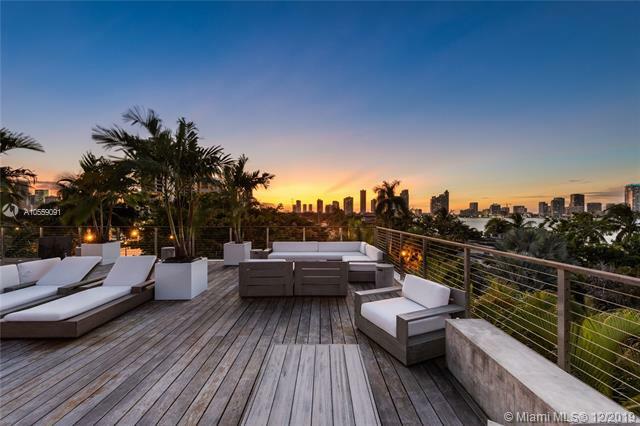 High-end finishes in natural tones & splendid scenery of Biscayne Bay embrace the living areas, oasis-like pool deck, & 2,000-SF roof top deck with summer kitchen capturing 360-degrees of breathtaking views. Inside, a state-of-the-art kitchen sits between the living, formal dining, & family room all opening to the pool deck featuring a spa & patio with a summer kitchen. Exquisite master with custom-built closets & lux bath - brilliantly designed for seamless connection between the indoor & outdoor. Actual city of this home is Miami. If you are interested in buying property located at 1142 N VENETIAN DR, Miami Beach, FL 33139, call us today! Sale price is $ 13 900 000 ($ 2 079/ft²).